A great cult comedy that was probably ahead of its time. A beloved movie among danish sailors. Martha is a very old and very rusty freight steamer, sailing in the Mediterranean, almost forgotten by the danish shipping line. A cult classic Danish movie. It is not particularly good, but if you enjoy the Danish classics like the Olsen Banden movies or Huset På Christianshavn, then this is an absolute must see. Mind you that this movie pre-dates the first of the 13 Olsen Banden movies, but was directed by the same director and largely has the same cast. 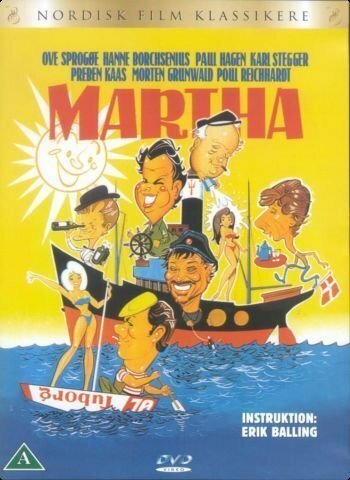 I have been told by three Danish guys who served in the Danish navy at three different decades that this movie is shown on every ship going on a long trip in the entire navy. That must say something about the movie.